Specialising in ACT (Acceptance Commitment Therapy) and Addiction Recovery. Joe knows that all of us can become stuck. Stuck in our heads, in our feelings, in relationships, work our obsessions and compulsions, stuck in the way we can see things and the stories we can tell ourselves. 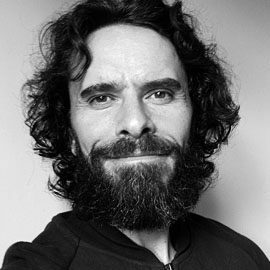 Beginning his therapeutic practice in 2002 with a leading UK rehabilitation service, Joe specialised in one to one, group and integrative therapeutic practice. In 2006, he began a 10 year residency with The Jockey Club, culminating in the development of a bespoke programme of equine assisted therapy for racing’s people. Most recently Joe has been a therapist and tutor providing counselling to Cambridge University Students. Focusing his approach in the CBT derived therapy ACT (Acceptance Commitment Therapy), he works with adults and young people experiencing a broad range of life situations. Joe knows everything we need to thrive is in us and that we can all absolutely get unstuck. Joe works with adults and young people and is based in Oxford Wednesdays to Fridays. BA (Hons), Integrative Counselling Dip, BACP Accredited.